Among the trending technologies of today, The Digital Twin is one of the most strategic technologies. It is a human mind working with the mind of a machine. Digital Twin can be defined as a virtual preview/model of a process or a product. This Digital Twin technology helps to predicate the problems/ error that can arise while implementing and using a service or a product by pairing the virtual world with the real world. It acts as a bridge in between the physical and the digital world. It collects the data, operational data and used these to derive the business outcomes. Outcomes such as it can predict the failures that the going to happen in the machine and it give warning for the human interact with the machine. So that it can reduce the cost of repairs and unplanned outgoings. So that they can give us opportunities to optimize the function of the machines and the assets in real time by constantly interact with the assets. The concept of digital twin was introduced by Dr.Michael Grieves in the University of Michigan in between 2001–2002. He introduces this concept as a virtual representation of the manufactured processes or concepts. After that he further developed this idea, as comparing what have been designed with what was produced for his engineering designs. Digital Twin Prototype (DTP): It describes about the manufacture of a service or a product. It gives a procedure for the creation of the assets. Digital Twin Aggregate (DTA): It is the aggregation of the Digital Twin Instance. Using this we can get to know the information of a collection of assets. Digital Twin Instance (DTI): A physical instance of an asset. It gives information about the steps followed and the steps undergo in the production of an asset. Also it consists of current states in the production of the asset which is get to know from the sensors which are monitoring the physical assets. This technique functions in three stages. Watch, think and do. In the watching stage the data about the physical world, the real time data is captured and absorbed through the equipment like sensors and actuators and in the think stage, they are analysed in a cloud based system and in the do stage, the results are output for the decisions in the physical, real time environment based on the virtual environment processes. The NASA is the one who uses this digital twin for their processes like roadmaps, next generation vehicles and aircrafts. 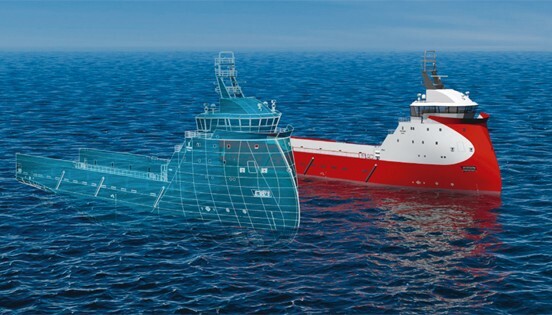 Digital twin helps to optimize the operation of the processes and assets and also it helps to detect the errors and helps to repair them in virtual rather than deal with the physical errors in the real tile which causes high cost and resources. And helps to enhance the product as it is in its product life cycle.